Simran's father sang Kirtan Soheila in English to her each night & after growing up, when she went away to school she would sing to herself, when she had children she sang it to them each night, she also sings it to her husband and now she sings for you! This is a bedtime prayer of peace, surrender and bliss. 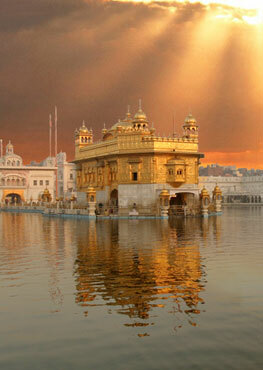 Kirtan Soheila is for protection, peaceful sleep and letting go! 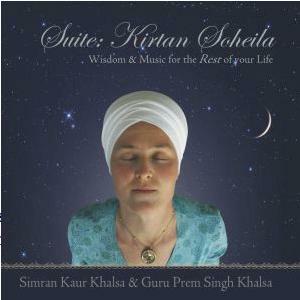 Yogi Bhajan said: "That by singing or reciting Kirtan Soheila each night before sleep brings clarity of mind, preserves your night and brings a beautiful dawn. It prevents nightmares and provides a shield of protection." 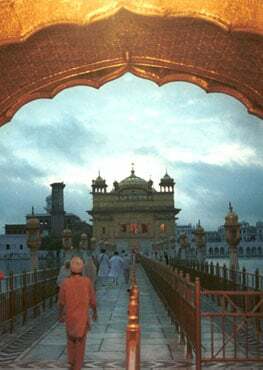 Kirtan Soheila is also done at the time of dying and when someone dies, as it protects and guides the soul on its journey to its true home. Two years ago at the Memorial of GuruSimran Kaur, the beloved daughter of Siri Marka Singh & DharamDev Kaur, GuruPrem & I sang a very simple version of Kirtan Soheila, her parents asked us to record it, thus our musical journey to bring this Suite to life, began. Please join us in the practice of daily singing to our soul, learning the sweet art of surrender, sleeping deeply and letting go to let God.